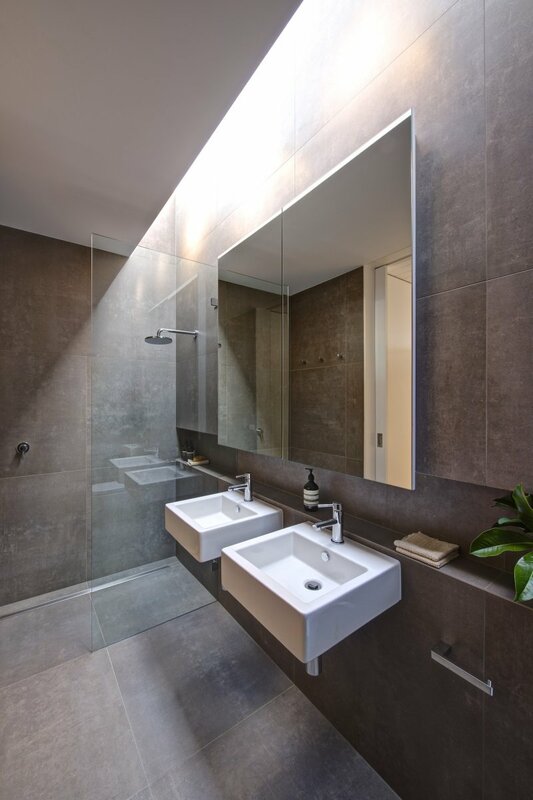 Danish architecture is world-renowned – the perfect infusion of cutting-edge design and practical functionality. Often described as vibrant, contemporary and sustainable, the designs are known to make an impact and leave a long-lasting impression. 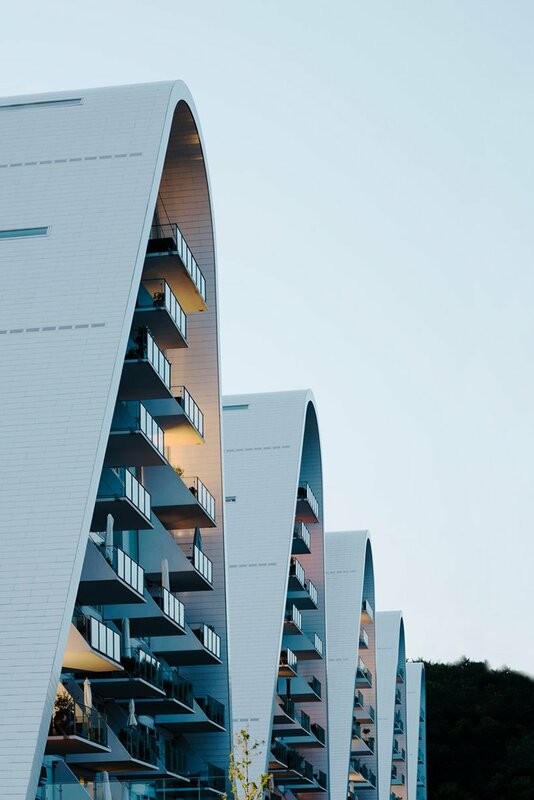 Using local context as a valuable resource and design driver, Danish architects often take the values, landscape and history of an area to inspire each project they undertake. Perhaps that’s why the Modscape team are so drawn to their work and why the designs and ethos consistently prove a source of inspiration for our local work. Danish firm Henning Larsen Architects is a progressive practice continuously pushing the boundaries of what architecture is today. Famous for the creation of Harpa Concert Hall in Reykjavik and the Copenhagen Opera House, the practice has become globally known thanks to projects possessing a strong link to the places where they are built. Another prime example of this is the recently completed residential complex The Wave. 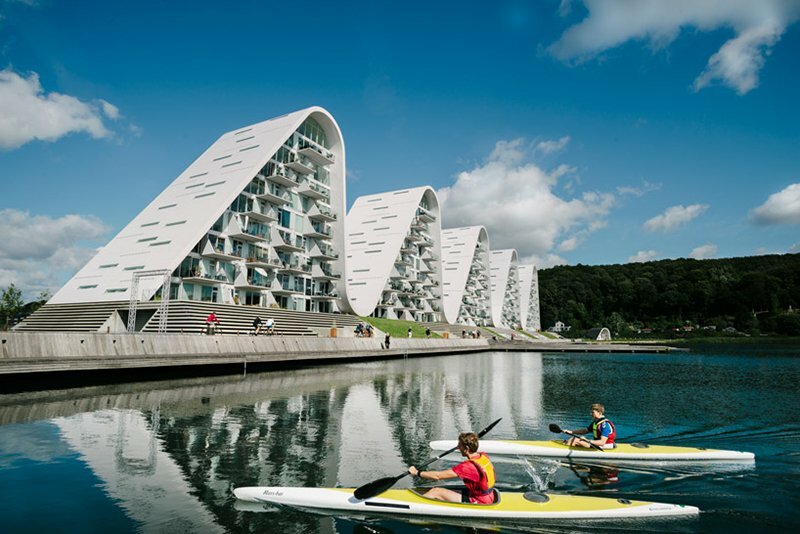 The Wave was constructed in the Danish municipality of Vejle, right on the banks of the Vejle Fjord. This area of Denmark is known to be the only hilly area in the relatively-flat country. The design team decided to pay homage to the surrounding landscape by referencing the terrain and the water to create five unique towers each containing 20 apartments. The undulating building both mimics the landscape and sets itself apart by changing its appearance with the weather and time of day. 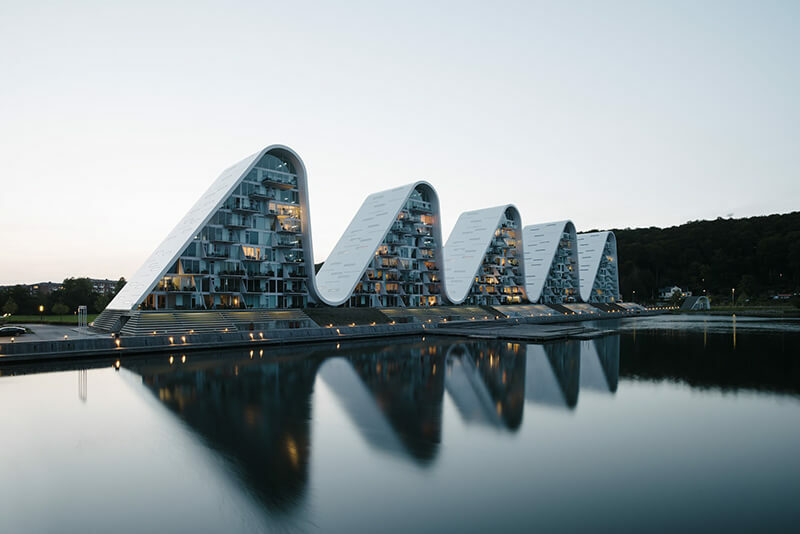 Passing through the town by rail or car on the nearby Vejle Fjord Bridge, The Wave’s five peaks stand out as a recognizable symbol of the city, a visually distinct presence on the waterfront. 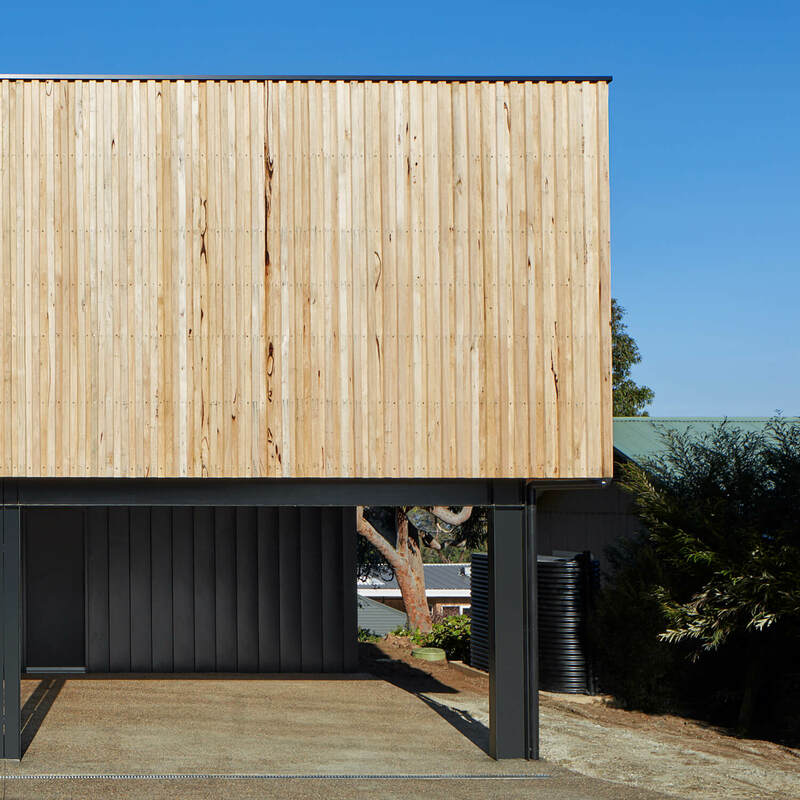 Both referencing and embodying its local environment, the design takes advantage of its location, views and orientation to create a practical and distinctive piece of architecture that is now a landmark. The ‘wave’ is created using panels of terracotta rainscreen cladding which, from a distance, look like a continuous form. Beneath each tower, a large set of steps lead down to a public walkway with access onto the water. The building’s orientation allows for cool sea breezes to flow right through to create the best possible levels of thermal comfort while offering grand views for residents. The graceful appearance belies a somewhat troubled construction process. In 2008 the project was interrupted and put on hold in the wake of the global financial crisis. The first two towers were completed in 2008, with the remaining three resuming in 2015 and just recently complete. 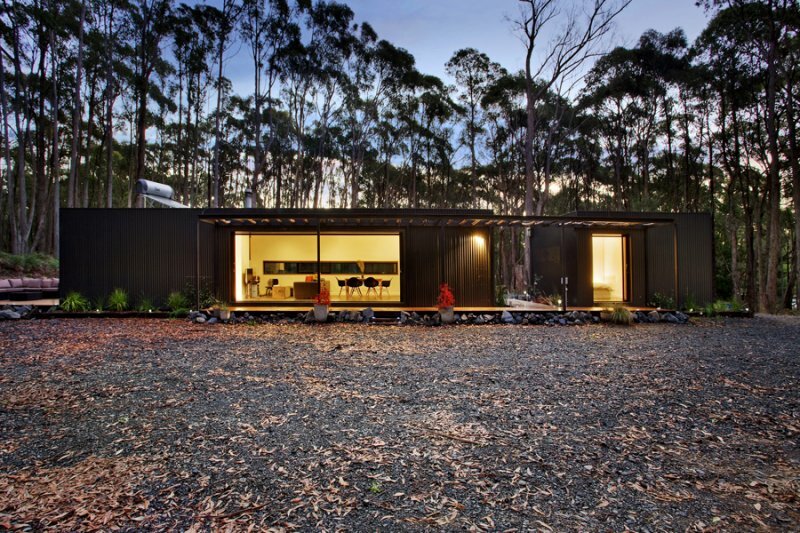 Even when partially completed, the initial stage drew widespread attention and won numerous awards. 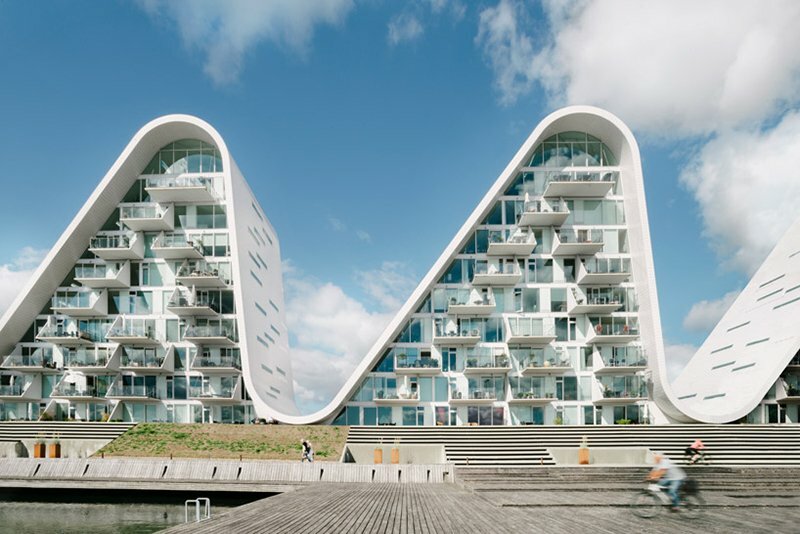 In 2009 the building was crowned Residential Building of the Year by Danish magazine Byggeri and in 2012 was awarded an ABB LEAF Award for Innovative Architecture. The Civic Trust also gave The Wave its prestigious award in 2013 for its positive civic contribution – socially, culturally and economically. Despite a drawn-out construction process, the building has become a spectacular addition and landmark along the Fjord.